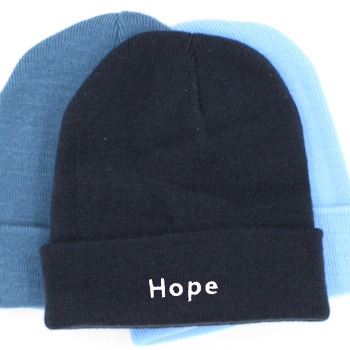 Keep your head nice and warm with a classic French navy blue winter stretch knit beanie hat with personalised embroidery of your choice. Keep your head nice and warm with a classic French navy blue winter stretch knit beanie hat with personalised embroidery of your choice. Add that special one of kind touch by having a name, nickname, team or club embroidered on it. Makes a great unique gift. One Size fits most - adults and teens. High quality unisex cuffed stretch hat made from 100% knitted acrylic.